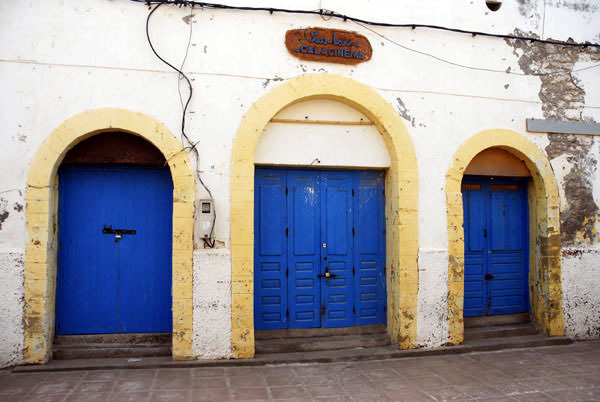 There are two movie theaters in Essaouira. 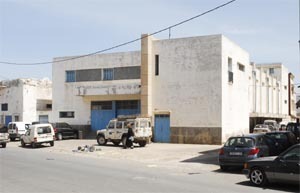 It was created by a Jew named Mr. Kakon in the 1940th and the cinema is situated just at the city wall by the Scala the Kasbah. It was closed 1999. There was the groundfloor with chairs in hardwood and a balcony.Friday morning was reserved for women. The posters of the cinemas advertised westerns, classics of French cinema, Bollywood and Egyptian productions with famous American and French film stars at the time as Humphrey Bogart, Errol Flin, James Stewart, Jean Gabin, Fernandel. Egyptian Arabic movies were popular, they exposed the greatest singers of that time such as Farid El Atrash, Mohammad Abdel Wahab, Abdel Halim Hafez. 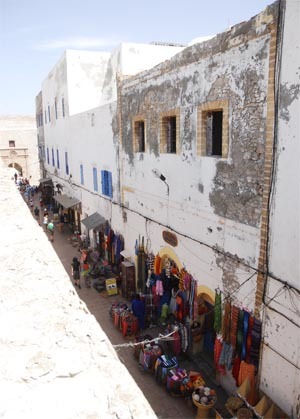 Cinema Rif was famous for Bollywood films. 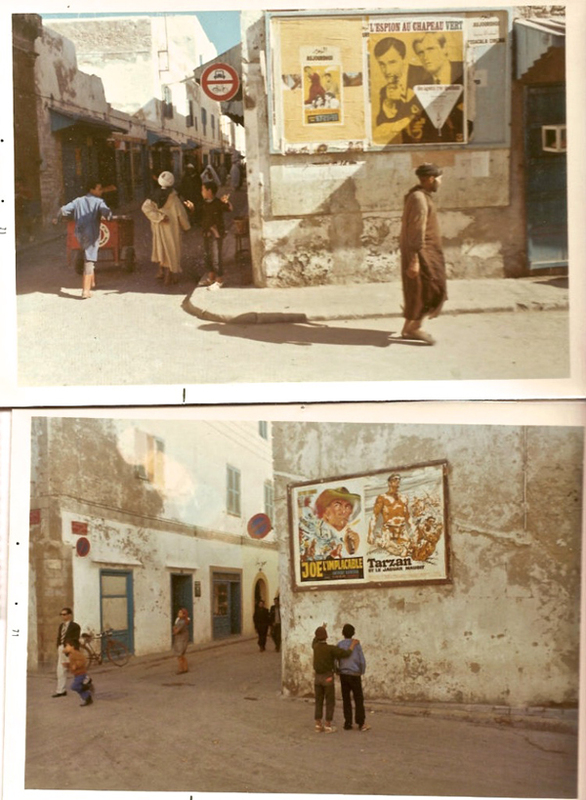 Movie posters in Essaouira medina in 1970th.